The mechanisms underlying the relationship between television (TV) viewing and weight status in preschool aged children are not well understood. This study aimed to explore the relationships between preschool children’s TV viewing habits (i.e. time spent viewing, content watched and foods eaten while viewing), daily food intake, general physical activity levels and their body mass index (BMI). A cross-sectional sample of preschool children in Melbourne (n = 135). Mothers of preschoolers completed a 3-day TV diary; information was collected on viewing time, content and food consumed while watching TV. Mothers also reported their child’s height, weight and physical activity behaviour. Associations between study and outcome variables were determined by bivariate correlations and hierarchical regression analyses. Mean age of preschoolers was 4.5 years and 14% were overweight or obese. The mean daily time spent watching TV was 90.7 minutes (SD 50.7) A small, positive correlation was found between viewing TV on weekdays and child BMIz, (p<0.05). This effect was moderate when controlled for total kilojoules consumed while watching TV (on weekdays) and number of minutes spent in sedentary activities (across three days). 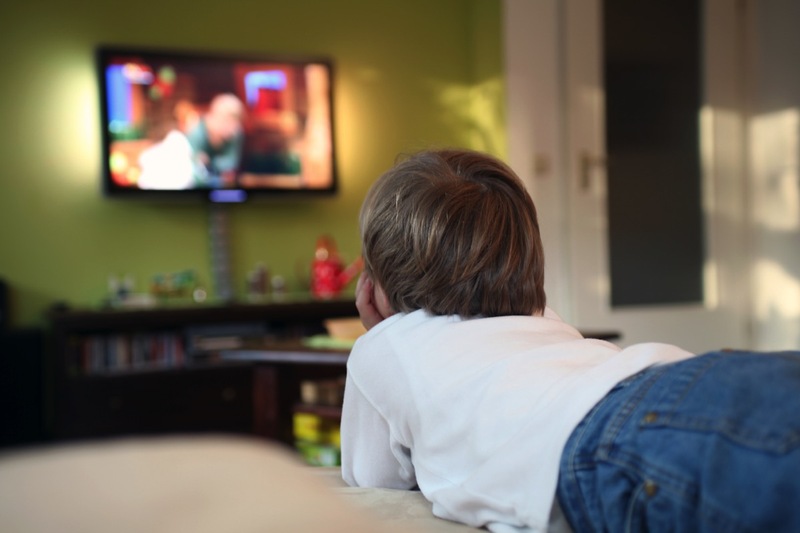 This study suggests that TV viewing may affect preschool child weight status through displacement of physical activity or eating while viewing.